2.8 miles from Burlingame is Ninigret Dog Park. 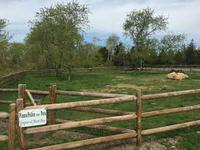 The Ninigret Dog Park consists of a one acre dog park for Large dogs and a 1/2 acre dog park for smaller breed dogs. 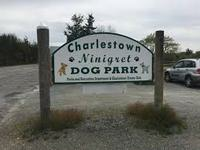 The Ninigret Dog park was created and built by dog lovers from Charlestown and beyond. Dog parks feature, large areas with trees, grass, rocks, and the favorite of all doggies, a fire hydrant. Benches and picnic tables make it enjoyable for all. The park has double entry and exit gates, doggie waste bag stations and plenty of parking. Ninigret Park itself is a 227-acre park featureing a state-of-the-art playground, ball fields, ten-speed bike course, tennis and basketball courts, picnic areas and a freshwater swimming pond with public beach with lifeguards on duty. It is also home to Frosty Drew Nature Center and Observatory.